If you decide not to detour to see the Santa Justa Elevator, Rossio lies at the end of Ruo Augusto. 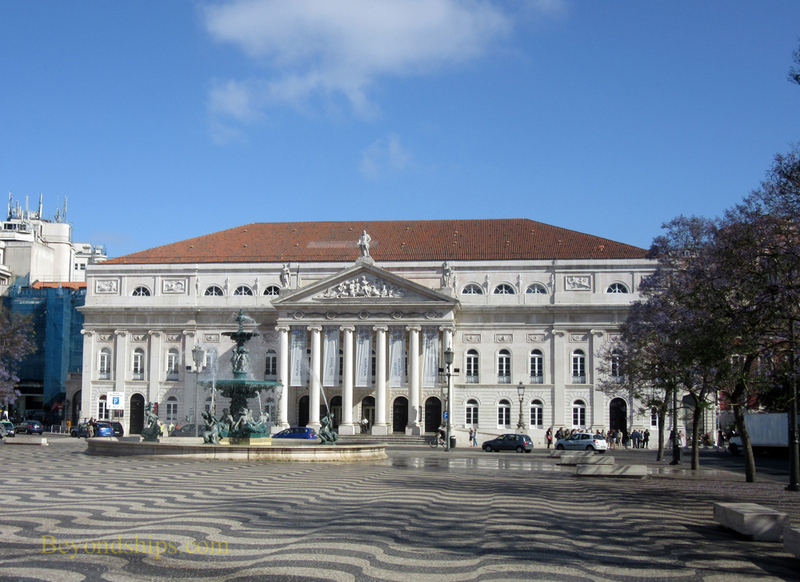 It has been describes as the heart of downtown Lisbon. 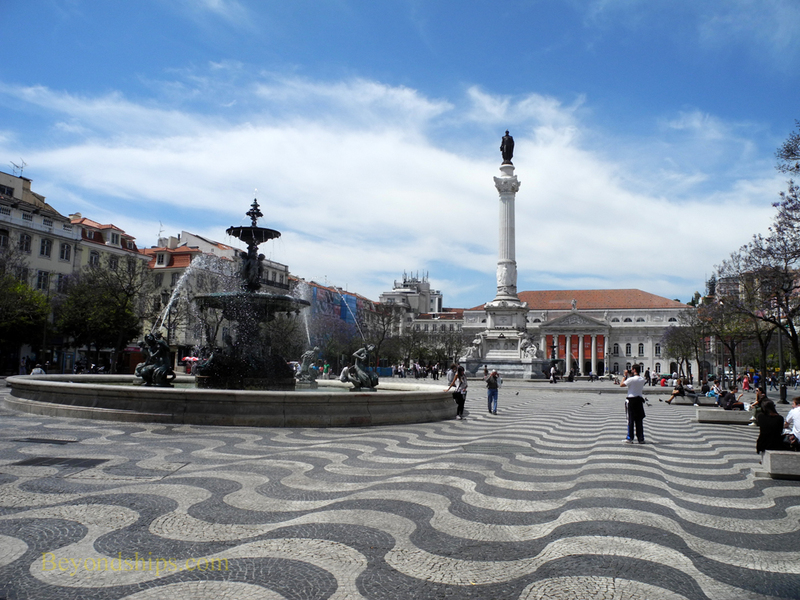 The proper name for this large open space with black and white tiled pavement is Praça Dom Pedro IV but it has always been known just as the large public square. Once it was the place where the Inquisition burnt heretics but now it is a place where locals meet and relax. At the center of the square is a column supporting a statue of Dom Pedro IV, King of Portugal and the first Emperor of Brazil. There are also two Baroque fountains, one at either end, which were erected in 1889. 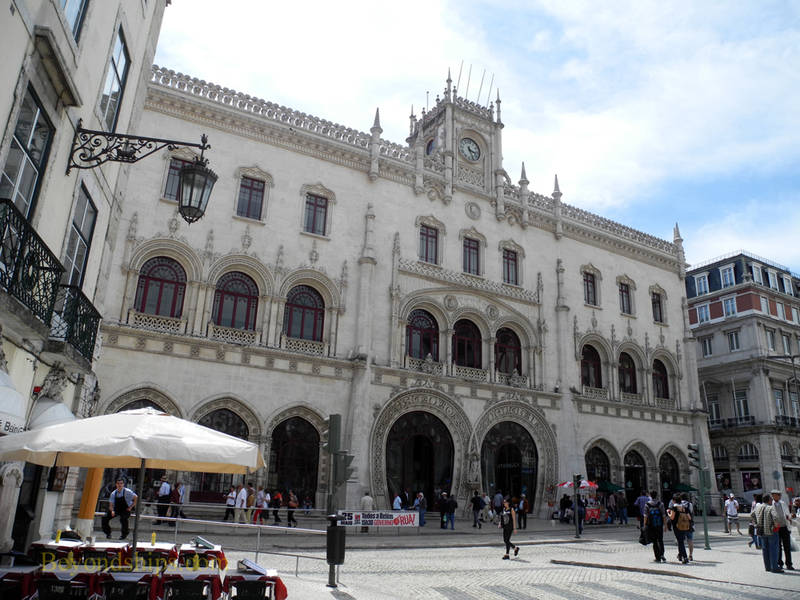 Surrounding the square are cafes, shops and Lisbon's main railway station built in 1887. However, the building that dominates the square is the National Theater, a neoclassical building dating from the mid-nineteenth century.